Stay in the Air Capital to the World! Let Us Help Take Care of You! 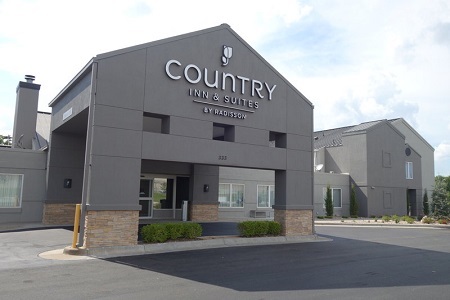 The Country Inn & Suites® by Radisson, Wichita East, KS positions you near the FlightSafety International learning center, major aircraft manufacturers like Beechcraft/Textron Aviation and sporting events at Wichita State University. Our location off I-35 and U.S. 400/54 helps you easily reach upscale shopping and dining, and you’re within 15 minutes of Wichita Dwight D. Eisenhower National Airport (ICT). Catch a concert at INTRUST Bank Arena or an expo at the Century II Performing Arts & Convention Center, and then follow up with some rest in your hotel room with free Wi-Fi. 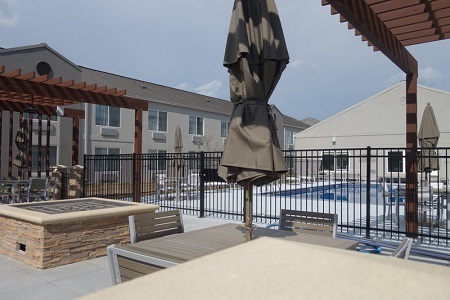 When you’re ready to move, head to the fitness center for an exhilarating workout or the outdoor pool for a refreshing swim. 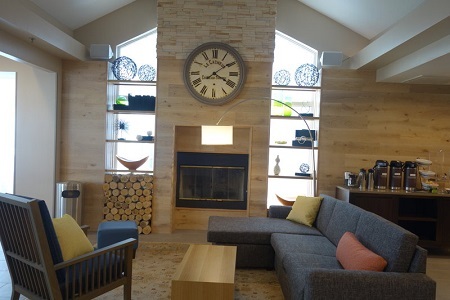 If you prefer a low-key activity, you can grab a book from the hotel’s Read It & Return Lending LibrarySM or unwind in front of the veranda’s fire pit after a long day. 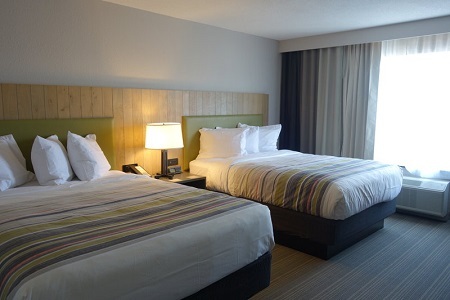 Each of our 99 hotel rooms and suites includes free Wi-Fi and DIRECTV DRE for a home-away-from-home viewing experience. Microwaves and refrigerators enable you to prepare and store snacks for late-night cravings. We also offer suites with jetted tubs so you can indulge in a soothing soak before bed. 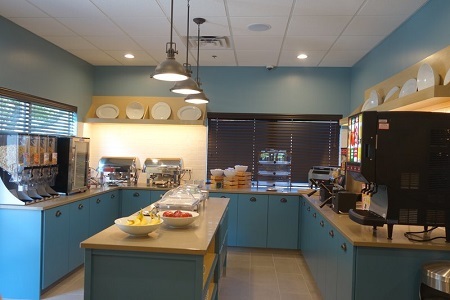 Wake up to a complimentary, hot breakfast that features items like eggs, waffles and cereals. For lunch or dinner, walk a block to Fireside Grille and charge your meal to your room, or travel a short distance for a great steak and glass of wine at Chester’s Chophouse & Wine Bar. You can also find many other dining options near the hotel. INTRUST Bank Arena - Located in the heart of downtown, just six miles away from the hotel, the INTRUST Bank Arena is the place to see top acts like Tim McGraw and Faith Hill or major sporting events. Wichita State University - Cheer on the Shockers athletic teams at Wichita State University, located nine miles northwest. For a cultural experience, visit the campus’ Ulrich Museum of Art to appreciate the works of national, regional and local artists. Sedgwick County Zoo - For a calming departure from a hectic work schedule, spend the day visiting the animals at Sedgwick County Zoo, a 13-mile drive from the hotel. This animal sanctuary houses 3,000 animals representing 400 species.